still any schematic for that pedal ? DOD - FX22 Vibro Thang GUTS - no schema yet? Why not let someone write to the DOD Technical Support? I asked them about the schematics of DOD Big Fat Distortion in order to modify my DOD Grunge, and within 24 hours they helped. The simplest solutions are the best. LFO goes to 1 and 18 pins of the first LM13600 and 1 pin of the second LM13600. DROP goes to 18 pin of second one. Soon I will send phase stages. You have this pedal in your hands ? glad to see it being traced ! Really nice !! thanks !! May I use this thread to expose my issue ? I've modified the 1st one in order to activate the speed (rpm's) with a volume pedal ... it works really nice! what could do this ? the pot seems fine as when I bypass it it is the same. The IC (JRC 2904D) ? Hard to tell unless you explain a little more about how you modified your FX22's. But no. It's not the IC. Why do you even think that? No my modified one works perfectly independantly of the mod. The problem is the new one on wich the speed doesn't go as fast as on my first one. RPMS controls the speed .... DROP the depth. It might be that the taper of the pot is off spec, even if it reads the resistance values correct on a meter. Seems to me a strange answer as when I hardwired bypassed the pot it doesn't change anything to the problem. Please man more PHOTOS of the solder side!! and the parts side please!!! 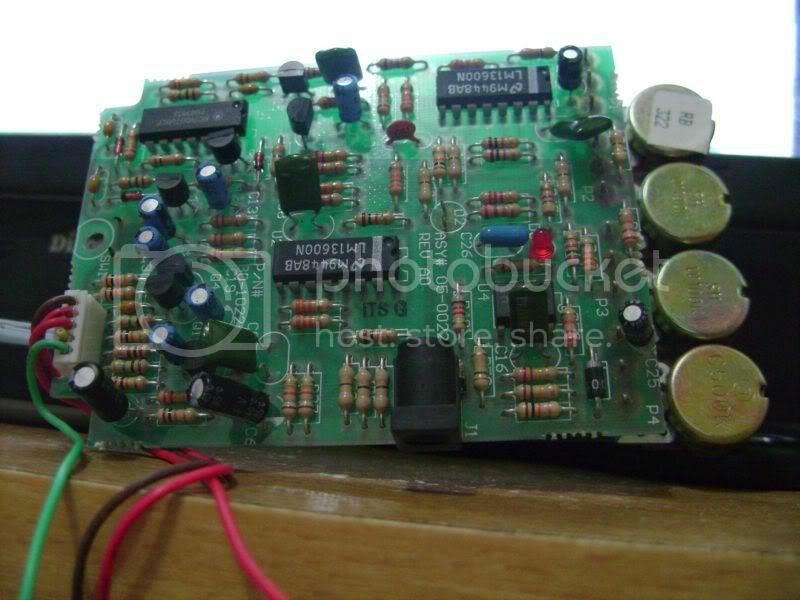 Did anybody make a pcb or veroboard layout for this one? trubac wrote: Thanks fior answering ! I've just managed to shunt the bypass network on my FX22. when you need a non polarized capacitor and you have none, wire up the negatives of two half value capacitors together, et voila, a non polarized cap is made. are wired in such a way, with a J201 in between the capacitor pairs. The Source of each J201 are tied to an RC network to ground, Q2 & Q6 in between the capacitor pairs, and Q3 in the bypass loop. The switch button inverts which J201 Source to ground when activating the 4007A inverter IC network. 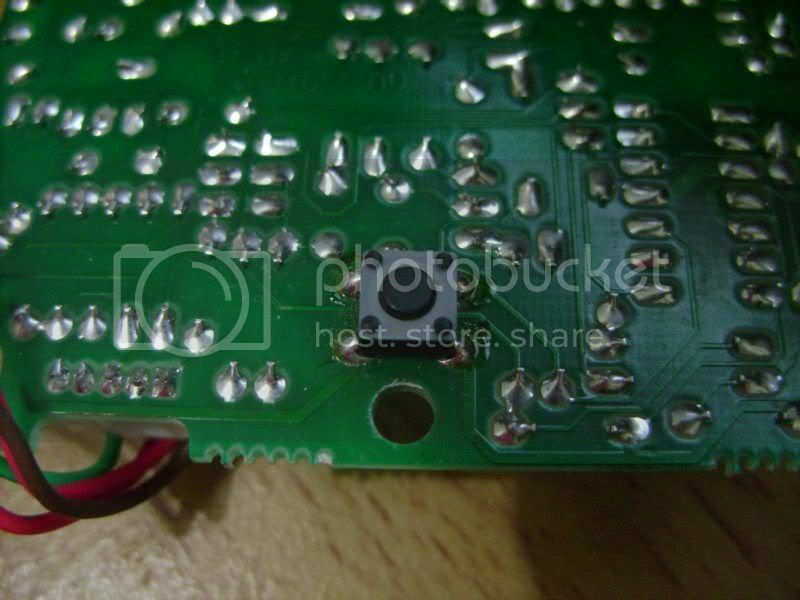 The Effect bypass bypass (or "always on") was accomplished by desoldering the negative side of C12 & C13, lifting it from the PCB and jumpering them with a length of wire. For the output side I did the same thing to C11 & C19. The Input & Output remain as originally wired and the TRS input functions to activate the battery snap B+ just as before. The switch still functions to change the inverter (4007A) as before, but with the bypass shunt in place, merely deactivates/activates the indicator LED, having no audible effect on the sound output. Your FX22 will now be ready to wire in your favorite True Bypass method: 3PDT, OptoCoupler, or Relay. 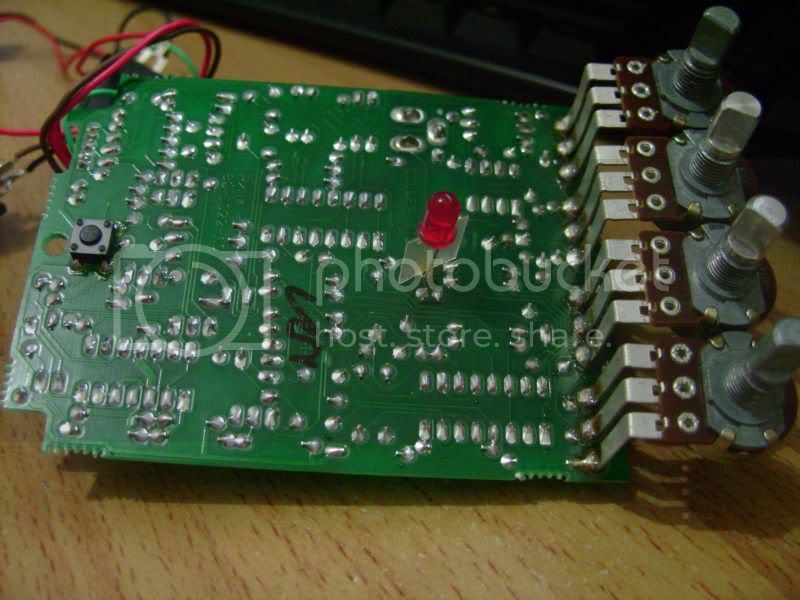 As soon as I have an idea about a better input and output circuit than the stock J201 input and 2N5088 output devices, I will post my findings. B_Y_O_Bass wrote: I've just managed to shunt the bypass network on my FX22. Thats awesome! I've got a vibrothang incoming so I may try that! Anybody know how to hook up a flashing rate led? B_Y_O_Bass wrote: when you need a non polarized capacitor and you have none, wire up the negatives of two half value capacitors together, et voila, a non polarized cap is made. Slight correction, you need 2 capacitors of twice the value you require not half. Blitz Krieg wrote: ^^^^ 2 uf? No! Capacitances in series adds up like resistances do in parallel. 2*1µF in series would effectively give you 0.5µF. normal elco actually conduct in the reverse direction, two 1uF polarized act like they each have a diode in parallel with them that conducts when the voltage is backwards for that one cap.